What does Poroshenko need in terms of NATO? ⋆ News ⋆ Official website for Oleksandr Klymenko. 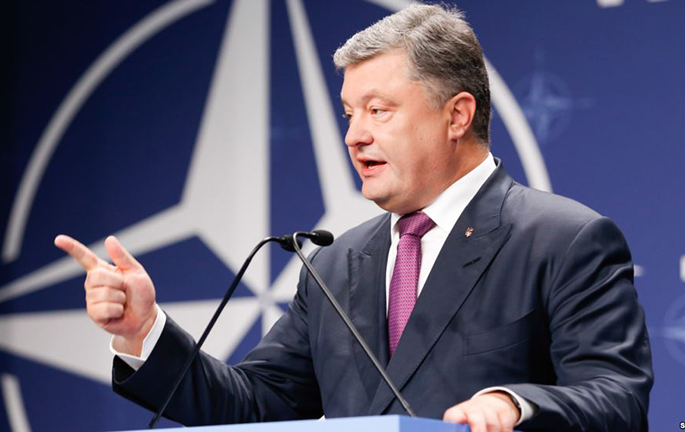 Petro Poroshenko again made statements concerning the NATO. This time he decided not to waste time on blurred declarations on accession, but immediately announced plans: to hold a referendum. 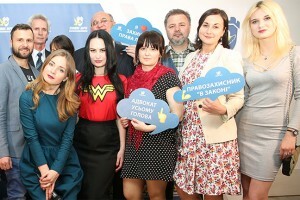 He has already predicted its result: according to the owner of the Roshen corporation, the idea will be supported by 54% of citizens, not supported by 16% in pre-war 2013. So, why did Poroshenko ace up his sleeve that comes together with decommunization and language issue? Let me remind, during the presidency he has repeatedly «mentioned» the issue of NATO. Each time it was used in different ways. He actively speculated about this topic as a candidate. Although, he stated that it would be too early to talk about NATO due to the fact that there is no clear public opinion. In November 2014, he said peremptorily: Ukraine goes to NATO for the sake of public security system. The Rada has even abolished the country’s non-aligned status. However, the promised referendum did not take place. In September 2015, Poroshenko took “a step back”: «Nowadays, the Alliance will not accept Ukraine. If so, we should not spoil our shoes. At first glance, present statement does not make sense at all. The leadership of NATO member states does not have political will to consider Ukraine as a serious candidature. After the “strategic failure” during the NATO summit in Bucharest in 2008, the issue of the Plan on achieving membership for Kyiv has not been raised. Moreover, Ukraine has not even attempted to take diplomatic steps along the path of membership. The referendum – it is just one of the final steps. Abolition of the country’s non-aligned status – is rather political step, than a practical one. The answer lies … in statistics, which was declared by Poroshenko himself. If the popularity of the Alliance in the country was about zero in 2013, it would go off-scale in 2017. Why should not we play informational games declaring a popular thesis? The second point. Bankovaya named this thesis in order to shift Ukrainian’s attention from utility bills, bombardment of Avdiyivka, failure of reforms towards «external» topics. The main thing is to distract public. Maybe in future there will be another heated discussion. After all, in fact, Ukraine is unable to hold a referendum today. Population census has been disrupted for the last 8 years due to the shortage of funds. And then suddenly they offer to hold a referendum on the topic, which is not really vital, isn’t it? It’s clear that Poroshenko was just bluffing. Finally, representatives of Presidential Administration can hardly realize the scale of “ill turn” that was provided to the entire “integral” European Union. All the European sceptics can sort banners out of his statement. The Dutch “separatists”, who initiated a “referendum in Ukraine” and heard about Ukrainian plebiscite, would certainly offer their services to Poroshenko. So trolling will be justified. Mark Rutte – the Prime Minister of the Netherlands – is unable to get votes for the ratification of the “Ukraine-EU” agreement in the Senate. His Foreign Ministry states: Ukraine has never wanted to access to the EU! Well, Petro Poroshenko did everything to prevent Ukraine from accession. Thus, there is no organization to access to! Ukraine is a non-aligned country. If you play with such issues, you will involve Ukraine into a civil war and bloodshed on our territory.